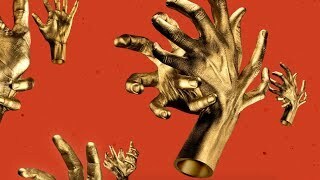 Son Lux reemerge with their forthcoming fifth full-length LP, Brighter Wounds, finding the trio in command of a daring, multidirectional sound, expressing naturally the proclivity for surprise and contrast that characterize the project's output. The new release explores the violence of love, the beauty of sacrifice, and the specter of impermanence. Anchored by its cinematic heart, “All Directions,” the LP ranges from the thunderous charge of “Dream State” to the sputtering, soulful lilt of “Slowly.” Ryan Lott’s devastating vocal on "Aquatic," guitarist Rafiq Bhatia’s blooming flower melismas on "Labor," and drummer Ian Chang’s nearly inhuman rhythmic calculus on "The Fool You Need" illuminate a curious and delicate balance of precision and pain. Since 2015’s Bones, the band's profile has grown in the worlds of music, dance, and film. Each member now charts their respective solo paths, and their individual adventures find a home within the purview of Son Lux. On Brighter Wounds, collaborators range from longtime cohorts Rob Moose (Y Music, Bon Iver, The National) and DM Stith (Sufjan Stevens), to new friends trumpeter Dave Douglas and reedist/instrument builder Arrington de Dionyso. Son Lux has made invention its hallmark through continued exploration and experimentation. With Brighter Wounds, the triad NPR proclaimed “the world’s most lethal band" now grips exhilaration and heartache in full embrace. In the words of the album's closing refrain, "is this what the resurrection feels like?